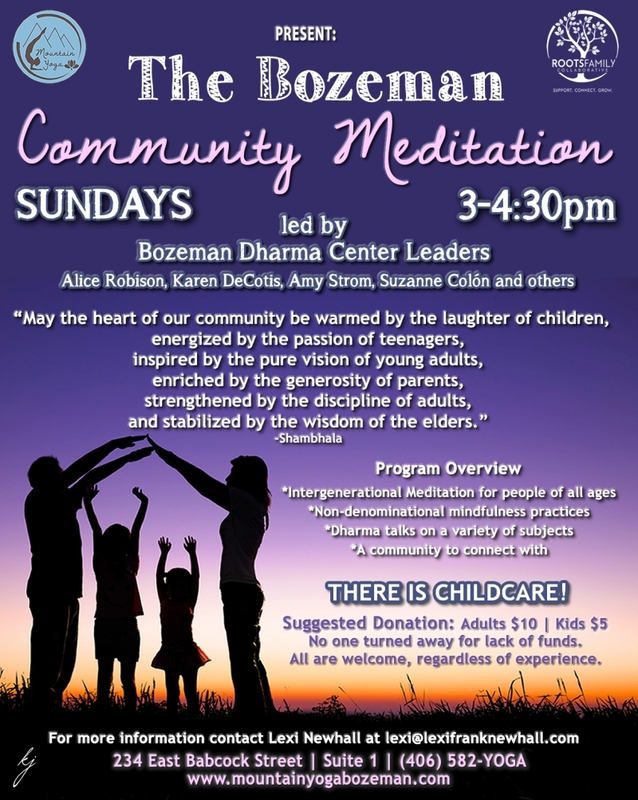 Community Meditation will be lead by Bozeman Dharma Center teachers from 3-4:30pm every Sunday afternoon at Mountain Yoga. 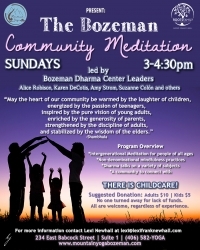 The meeting will start with a 30-minute non-denominational meditation followed by short break and a Dharma talk. It is our hope to build an intergenerational community where we can support one another, reduce stress, strengthen compassion and spread “loving kindness”. Beginners through advanced students are all welcome. There is no registration, but dana (donation) of about $10-15 is suggested to help us cover our expenses, and is gratefully received. CHILDCARE WILL BE PROVIDED so that families with young children can attend.